Viola Spolin News and Information. Workshops, events, and more. We're excited to announce our first-ever scholarship fund drive! Your tax-deductible donation will help us share the transformational work of Viola Spolin and Paul Sills with deserving educators around the country. Thank you for your contribution! Sills/Spolin Theater Works Mission Statement: It is the responsibility of Sills/Spolin Theater Works to maintain the improvisational theater tradition of Paul Sills and Viola Spolin and to preserve and share their unique vision of American theater. This work includes bringing their approach to education and entertainment to the community through presenting Spolin theater game workshops, training in Sills’ story theater process, publishing of their writings, and managing their respective archives. Your tax-deductible donations help further this work. 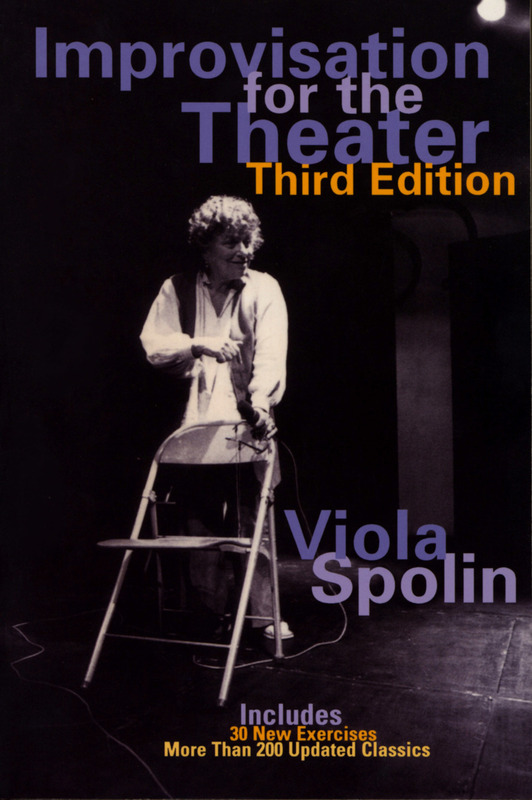 Viola Spolin was an actress, educator, director, author, and the creator of theater games, a system of actor training that uses games she devised to organically teach the formal rules of the theater. Her groundbreaking book Improvisation for the Theater transformed American theater and revolutionized the way acting is taught. Originally published in 1963 by Northwestern University Press, it remains an essential theater text. Her son director Paul Sills, who is credited with popularizing her work, used her theater games when he co-founded Compass, Playwrights Theater Club, The Second City, and created Story Theater. The modern improvisational theater movement is a direct outgrowth of Spolin’s methods, discoveries, and writings. Sidecoach Aretha Sills (granddaughter of Viola Spolin and daughter of Paul Sills) offers Spolin Improvisation workshops regularly in Los Angeles, New York, Chicago, the Bay Area, and around the country. Explore the transformational theater games of Viola Spolin to enhance your training as an actor, improviser, educator, director, writer, or to experience more play in your daily life. Free events at the Hull-House Museum on May 13th, 14th, and June 21st. Generations of kids and adults have learned to act through playing Viola Spolin's improvisational theater games, among them Oscar and Tony-Award winning actors and directors. Sidecoach Aretha Sills invites young Los Angeles players to explore the play-based method that allows each child's unique gifts to flourish in a non-competitive, nurturing, and joyful environment. Students of all experience levels are welcome, including aspiring actors and those who just wish to play! Offering week-long summer intensives in the work of American theater legends Viola Spolin and Paul Sills in Door County, Wisconsin, the world-famous vacation destination located on the beautiful peninsula in Lake Michigan. Sills/Spolin Theater Works educators are available to bring workshops in Theater Games and Story Theater to your school, group, or event. We also direct productions, offer teacher training, and speak to groups about Viola Spolin, Paul Sills, and the history of improvisational theater in America, and how it emerged out of the progressive-era philosophies of Jane Addams and Neva Boyd. Learn about upcoming workshops, events, and more. We're on Instagram! Get news, updates and see wonderful historical photos here.